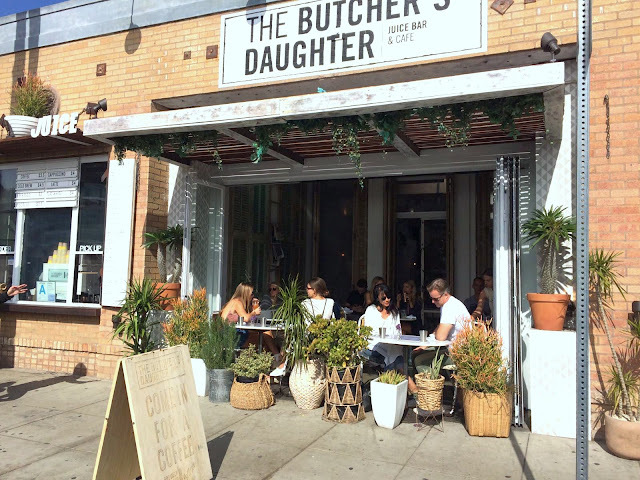 Everyone is stylish and super pretty and this place is just inspiring... We had breakfast at my new favorite spot, called THE BUTCHERS DAUGHTER. If you ever visit Venice you have to go there even if you have to wait a loong time to get a table haha it is worth it though. We both had an acai bowl which you can see below! It was sooo delicious. In fact it was the best acai bowl.. and I tried a lot of different bowls haha.. The granola is the best !! SO DO IT!!! My outfit was really simple this day but I really like it though.. I wore my new favorite shoes, bag and jeans haha :D Oh and something really cool happened!! I just met Romee Strijd!! She is sooo pretty in real life and soo lovely...I hope you had a nice weekend as well !! ATMOSPHERE: I love the style of the restaurant, it looks so pretty and the waiters were really friendly and nice. You can sit outside and inside and both is absolutely beautiful! QUALITY: The food was amazing ! The acai bowl was the best bowl I have ever tried and I tried a lot in the last months! The food is homemade and pretty healthy. The glutenfree granola was perfect ! They have glutenfree, vegan and vegetarian food which looks amazing! QUANTITY: The bowl was not really really big but also not small, I would describe it as a medium size! But at the end it was really filling! 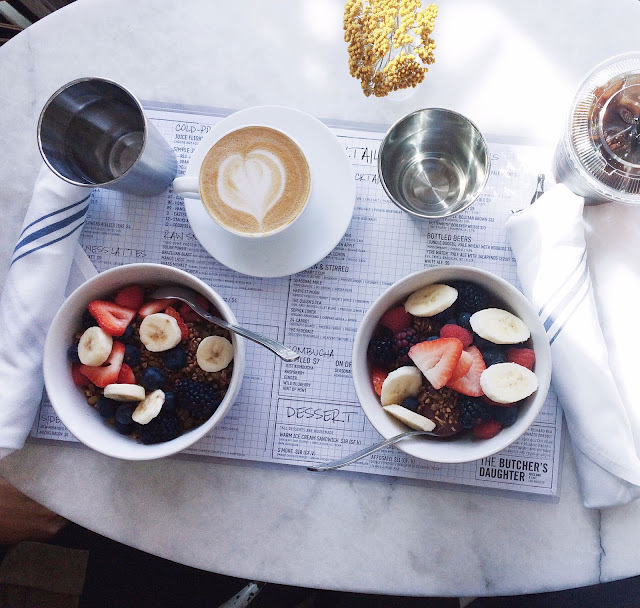 SUMMARY/FINAL OPINION: It is the perfect place for a perfect Brunch ! In fact it is my new favorite place ! the only negative thing is that they do not take reservations and sometimes you have to wait a while for a table but at the end it is absolutely worth it! !